Phil posted the link to this golf.com article on yesterday's Georgia Hall post and I figured, "Hey, I posted some help for chipping. Why not for the full swing?" So here it is. The article mostly focuses on generating power -- don't they all these days? -- but one of the four tips can help just about everybody without hitting the gym. Simply enough, Ariya "flings" the clubhead at the ball. All that means is she stays relaxed and flexible during her swing. She doesn't grip tightly and try to make sure the clubhead hits the ball. (If you ask me, that sounds like Charles Barkley's problem.) When she swings she just lets it go. You don't need "grunt power" to get distance. You need clubhead speed, and you get that through a free relaxed motion. When you try to hit too hard, you tighten your muscles and actually slow the clubhead down. 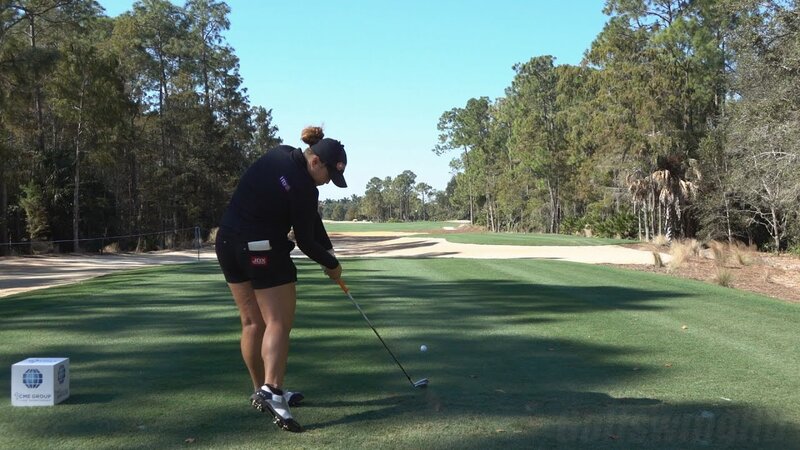 Most of the ladies on the LPGA and LET don't look like they're swinging all that hard, but they hit the ball farther than most average male amateurs -- even though most of them are much shorter than the men! That's what I'd like you to take from this golf.com article. Swing freely. That's a simple tip that most average players never learn, but you can be the exception!